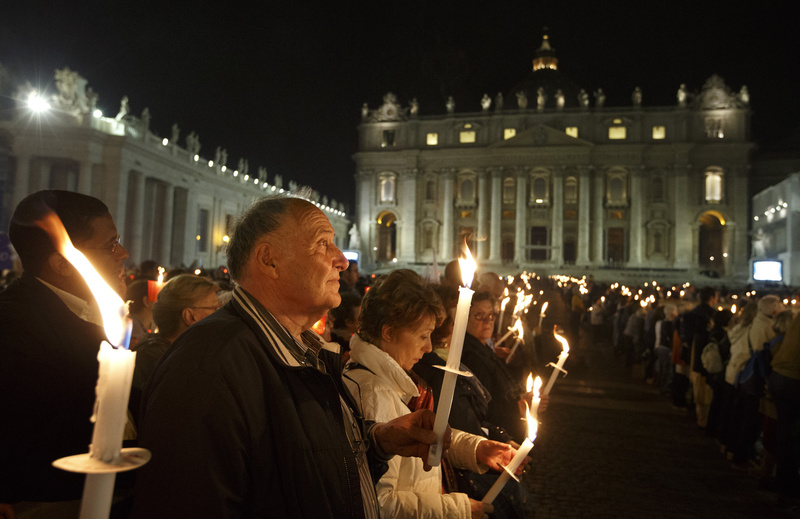 VATICAN CITY — Whether you plan on following tomorrow’s Prayer for Peace vigil on TV, online or in person in St. Peter’s Square, a schedule of Saturday’s events will come in handy. As well as the official liturgical booklet. 6:30 pm — A speaker will read the pope’s Sept. 1 Angelus address in which he called for the Day of Prayer and Fasting for peace. — The Marian icon “Salus Populi Romani” (health of the Roman people) is carried by four Swiss Guards from the obelisk in the center of the square while two girls carry a floral arrangement. — The pope leads the recitation of the Rosary, which will include readings from the poetry of St. Therese of the Child Jesus. The event is expected to be over by 11pm.